a7 SqlTools - beta - sql management tool. Welcome on the homepage of A7 SQL Tools, a sql managament tools package with functionality of searching, exploring and comparing the structure and data of databases. You can search the whole database for given keywords. Innovative filtering and query building possibilities. 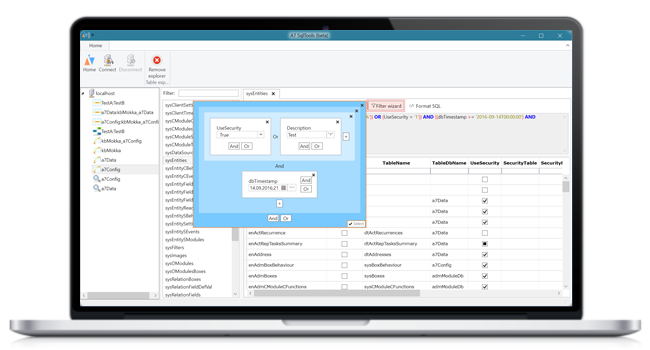 Integrated database comparer with structure and data comparison functionality.